Nintendo X ASTRO Gaming Headsets are headed your way this holiday season! During E3 2018, ASTRO revealed a new partnership with Nintendo where they will develop a variety of special edition headsets, speaker tags, and accessories featuring some of Nintendo’s most iconic franchises. We got a chance to take a peek at one of the first new headsets—a Zelda-themed Nintendo Switch™ A10 Headset. 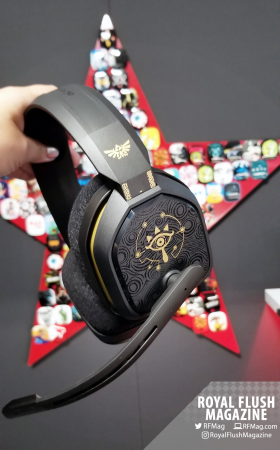 Celebrating the critically acclaimed The Legend of Zelda™: Breath of the Wild, the Nintendo Switch A10 Headset features a new black color-way with gold highlights as well as the classic Legend of Zelda™ iconography. With our new wired headset for the Nintendo Switch™, we celebrate the iconic gaming experience that The Legend of Zelda™: Breath of the Wild delivers to a new generation of gamers. We worked closely with Nintendo to create a stylish, uncompromising audio experience, with a special new chat adapter designed specifically for the Nintendo Switch. With the Nintendo Switch™ Online smartphone app, players can chat with their friends while playing compatible games at home or on the go. 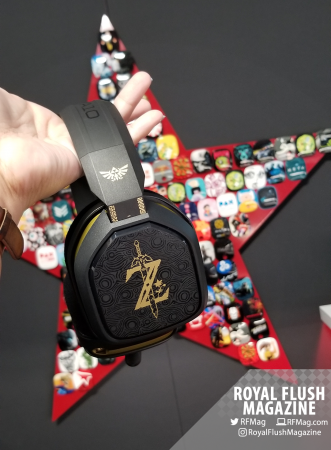 ASTRO Gaming’s development of the new Legend of Zelda-themed Nintendo Switch headset stems from an exciting multi-year agreement with Nintendo which was announced back in April. 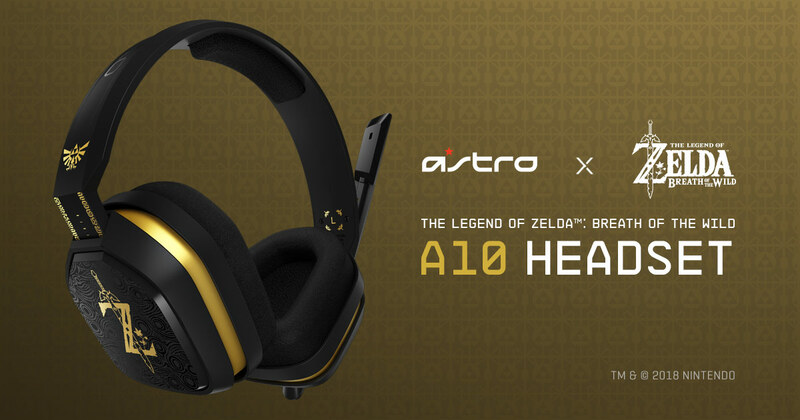 As part of the deal, ASTRO Gaming will develop a variety of special edition headsets, speaker tags, and accessories celebrating some of the most iconic characters and franchises, including The Legend of Zelda™, Super Mario™ and more. If you’d like to read about how the A10 works and played out for us, just check out our ASTRO A10 review here! Be sure to follow ASTRO Gaming on Instagram, Twitter and their blog for additional release details! ASTRO Gaming, creates premium video gaming equipment and lifestyle products for professional gamers, leagues, and gaming prosumers. ASTRO Gaming was spun-off from design powerhouse ASTRO Studios, known in the gaming world for designing the Xbox 360®, along with Alienware™ and HP® Gaming PCs. ASTRO Gaming produces a line of gamer-centric “tech-life” products that support this rapidly growing community. ASTRO Gaming is a brand of Logitech International. Founded in 1981, and headquartered in Lausanne, Switzerland, Logitech International is a Swiss public company listed on the SIX Swiss Exchange (LOGN) and on the Nasdaq Global Select Market (LOGI). All ASTRO Gaming products are available at www.astrogaming.com. Connect with ASTRO Gaming on Twitter @ASTROGaming, Instagram or our blog.